"I love Justinmind for prototyping. " Honestly, I think Justinmind is pretty good. It allows me as a designer to create both low- and high-fidelity prototypes, and I'm able to get pretty in depth with prototyping interactions as well. There are some bugs around displaying a prototype in the tool and previewing it in a browser (occasionally alignment will be off, nothing major) but the biggest problem is the lack of default widgets available for both web & mobile. I know there are other libraries of widgets that can be imported, but I'd like more customized control over the display of a checkbox & a combobox (for example) - not just be restricted to how those controls look by default in a browser window. It can be used for both high- and low- fidelity prototyping, but honestly there are better wireframing tools out there. High-fidelity prototyping is what I use it for the most - it's probably not the best for it, but I think it works very well for me. "Easy, intuitive for the most part"
It seems really straightforward to set up designs as mock ups. I used the free version to set up an initial mock up page. For me, setting up a multi-page layout were elements were repeated was difficult. I am sure it is probably easy to do, based on how easy to use everything else was. But I could not figure it out for the life of me. Take advantage of their training videos! Also, your free account stays a free account. They don't automatically charge you. So, you don't have to worry about it not working out and getting charged a bunch! I used Justinmind to create sample, fast and amazing web mockups to help my customers realize quickly what their website could look like, especially when their current site is older and not working well. 2. Justinmind allows prototype design for a variety of device sizes. 3. Client demos can be conducted very well due to the high resolution of the prototype that gets created. 1. Difficulty in sharing the prototype as it doesn't offer any sharing via cloud or uploading of the prototype in a unique url. 2. For demos in end devices, the prototype needs to be extracted by using and played by using the Justinmind browser extension. However all these cons are accepted as it isn't much cumbersome. 1. Prototype design for the UI of banking and insurance clients. "Must have tool for complex systems prototyping"
The tool is simply gorgeous and it's a pleasure to work in it. Very useful component palettes, master templates, programmable actions - these all create positive impressions. The prototype emulator in the web and the sharing settings are well thought out. I'm using this tool more than 3 years and each time I finished work on a prototype for mobile or web app I wanted to do one again in this tool. The limits of the free version are a little bit frustrating. Also, it will be nice to have more ready-made components, especially for web apps prototyping.Anyway, it's the best tool in the market for prototyping mobile apps. I designed in this tool about 10 prototypes for web apps with different complexity and for different branches of business. Also, I designed 3 beautiful prototypes for mobile apps. "Just In Mind, a good experience"
For me, Just In Mind is the easiest prototyping program to use and learn, allows you to create Hi-Fi interactive prototypes for different devices (including smartwatch) and brands, and you can download and test the prototypes on the devices for which they were created. Not being so famous means there isn't as much information and related examples for Just In Mind while other programs with more users have, besides the information they produce themselves, examples and videos created by users. I have used similar Hi-Fi interactive prototyping programs but I consider Just In Mind superior because of features like the following: its ease of learning and use, the big widget libraries that allow you to use a wide variety of controls, the interactions and animations, the multiple types of devices for which prototypes can be created, the ability to test the prototypes on real devices as if they were real programs, the ability to export the prototypes to.html files and the fact that they can be used with a perpetual license, for months or with a 30-day trial. By being able to create Hi-Fi functional prototypes, Just In Mind allows you to do tests that let you know if the process is on track before the whole development is done. In case the tests do not have the expected results, performing them in prototypes and not in functional software reduces the amount of money and work "lost". "An effective tool for better prototyping"
It is a great tool that helps you in effective and both high standard and low prototyping. Now you can make variable designs according to device size requirements. It has high resolution that helps you with better client demos. It is an efficient tool so no dislikes about it yet. It is very easy to design and great. Very fine for use and setup. The features are very diverse and with great variety. It is very user-friendly and very time saving. Due to different designs and complexity you get different types to create. That’s helps you to deal with good clients and with better compatibility. Helps to create more beautiful designs with more innovation and leads to customer satisfaction. "One of the best tool for prototyping the web and mobile apps." User Interface is great and you can easily create an interactive prototype of your app. If you have knowledge of a little bit of coding you can do much more in Justinmind. If they add a feature to customize the toolbar according to your requirement, that would be great. Otherwise, Justinmind is doing great. If you want a quick prototyping tool for web and phone apps, it is the best go for it. Justinmind is solving many problems like fast prototyping, if you want to show your design to the client, it's easy and fast. Pre-loaded UI kits give you an extra feature and you can share your prototype with your coworkers to reduce your workload. "JUSTINMIND came just in time when I needed it!" I loved how easy it was to get up and running and how simple the interface was to understand and start building. It had all of the functionality that I needed to get going. I don't make super complex prototypes with multiple different interactions and animations and all of that. My prototypes are basic and right to the point so I can get stuff approved and move forward with things. Not to mention this is free. :) Also has free templates and Sketch integration. I didn't like how redundant some of the tasks/steps I needed to take to get a functionality, but when it's free I really can't complain if it takes 10 more seconds. One problem is clients thinking I have this functionality already created, but then I tell them it's a prototype ha. The problem that I was having was a quick design approval or change before moving on with development. Rather than trying to find a designer or freelancer to do this for me, I was able to adopt Justinmind quickly into the workflow so I was able to get the prototypes to clients and onto development. I wanted it to speed up the process but I didn't expect it to help me out with so much more. Yes it did help on time, but it answered a lot of questions that I didn't have to ask the client if it was just an image design. When they can see how it will interact and transition then those questions are already resolved. "Do not know coding? Look no further"
I love Justinmind, because as the Layout Artist for the Wilmette Park District, I was given this job title in addition to my old job title, because I had design background and they needed people to help with the rebranding of our Park District. As well as make a mobile app to allow for easier renewal of payment, addition to services, and children's camp sign up. I do not know coding, and did not want to learn for this specific project, so it allowed me to create a mobile app prototype with the ease of any normal design application. There are options to chose from when going through the mobile sites, so if you do have a design in mind it is harder to create. It is kind of like when you click through resume options on Microsoft Word and there is not an exact one that you want. Really the only downside, but the ones they have are usually great. I'd say for the beginner app creator, this is the way to go, especially for a simple business model. But if you are looking to create a game app, or something like that, you may want to go another direction. I am trying to create the prototype app for my company, a town park district. This is the first time an app is being released for the park district so the business problems I am solving is more of an ease to use the park district services while adhering to modern day standards. I like the intuitive way the software presents its resources, in particular, the graphics resources, on the left sidebar. When I think of the wireframe, sometimes, instead of duplicate screens, I create two or three screens and I copy from one to another some features that are repeated. The fact of paste in the same place from one screen to another is a positive point (since the "shift+ctrl+V function does not work). The outline panel give a sense of the amount of elements on the screen, it is also nice. The use of the program itself is also quite intuitive. Copy and paste at the same place does not work IN THE SAME SCREEN ... when I'm in the creation process, I do it very often hoping that the object will be in the same place, because sometimes I use shift + arrow left / right to standardize the spacings. A few keyboard shortcuts work in software. The tool is somewhat limited in some aspects. I felt it when I had to apply the same formatting to multiple objects, and tried to do it in a simultaneously way. It gave a good idea of some usability aspects of the project because we understand and rethink the navigability on each screen. We had the perception of the number of objects on each screen, and a broader view of the extent of what we were planning. 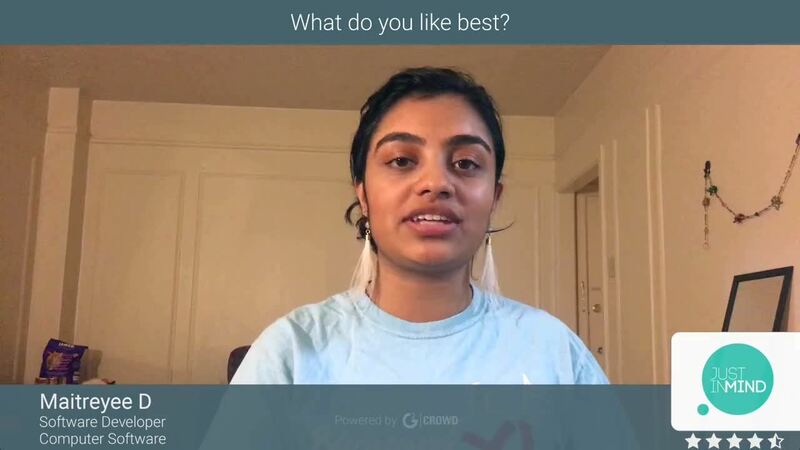 "Excellent for demonstration of concepts especially on mobile"
Within half day I can create an mock application that I can demonstrate the stakeholders and product teams without compromising complex application actions. I can even build formulas that are computed in real-time. Documentation is lacking - but is intuitive to understand without the documents. Complex interactions may present some challenges. Perfect for rapid prototyping of android, web and iOS applications. It even uses the material versions of google's android which is perfect. I found one issue which is still unresolved with the mobile application not able to render on my phone due to it's very high resolution. I am able to take ideas and demonstrate them without asking for development teams to rapidly prototype an application. What I like best about JustInMind is that you can choose to use it however you want, you can choose to create a Lo-Fi or a Hi-Fi prototype. It provides the tools to enhance a simple mock-up to display how you want the experience to be felt like before you begin writing a single line of code. Plus the free version offers many of the tools you need to have a basic prototype. I dislike the way it exports your mock-ups as images, sometimes it works perfectly and my mock-ups are shown perfectly, but others it completely cuts some parts of my mock-ups even though I respect the window size. If you are thinking about using the Pro version of this, just make sure you will use it consistently. If you create mock ups for your projects every now and then you are definitely fine with the free version. I am using JustInMind for mock-ups to share with stakeholders, developers and marketing teams. The benefits of having this tool have resulted in my developers having a clearer roadmap, which in turn results in shorter sprints. It also serves to show shareholders what you have envisioned and get their feedback before building code, thus reducing your refactoring or editing time. I really like how easy it is to use JustInMind. Creating prototypes don't take long at all. Also, I like how there are default templates depending on the device youre making prototypes on. I do not like the icon and widget size on my laptop. The resolution is very good but the icons are really small so its hard to know what im clicking on. I am using JustInMind to create prototypes for my groups developer to see if the designs are feasible. My team is creating an application to take a picture of a resume and analyze the text. I am creating the prototypes for the use interfaces for it. I love Justinmind without a doubt. It's AMAZING for creating high fidelity wireframes, and even better prototypes. The functionality is amazing and has so many tools for you to make the closest to the real design as possible. You can make your prototypes interactive by creating connections between screens and buttons, and I love the simulation feature, where you can see your desired prototype running in real time. It can get buggy at times, but it's honestly no big deal. It is also a bit slow to load certain features. I create all my prototypes and proof of concepts with Justinmind. It's a great tool to present your ideas before actually developing an app. Ability to collaborate screens into a single prototype file. This option can't be used much as the files are saved in Justinminds server. If they had an option to do the same making use of account holders Google drive. If I happen to forget to log out from a machine, I will be locked out with a message "too many signs in". Wish they had a one-click flush logout option. Now i have to raise a ticket and someone from Justinmind has to do it from their end. Learning curve is bit steep and complex screens would makes wireframing complex. Wireframing and prototyping. Clients can click through and understand how the software would behave once it is developed. "Very powerful product, just needs a bit of updating"
The event building process is great. It took a while to understand, but after getting my head around it, it is awesome! It doesn't take a ton of mental gymnastics to figure out what you need to do, and that's fantastic. I am building much better prototypes in a smaller amount of time. 1. They have a few bugs with fonts not being the same value/size as they are in EVERY other program. For example, sometimes Arial at 10pt in Justinmind is the equivalent of 14pt in Sketch. 2. Their SVG compatibility can be sketchy. When I insert certain SVGs, Justinmind actually switches the layout/look of what I just inserted. Can be very frustrating. 3. Every so often their public sharing option can be slow. I personally believe that this is a better product than Axure, but Justinmind has a little ways to go to iron out some of their issues. Once they get rid of those issues, I believe it will be way ahead of Axure. I need to be able to quickly prototype powerful interactions for my company's web app. This is a fantastic product for that. It allows me to quickly get in there and make some complicated interactions. What would have taken me weeks in other products takes me a few days in this. Easy to learn tool for making low to mid fi prototypes. Useful for importing comps and linking them with hotspots, works well accross platforms/devices. Easy to incorporate text boxes, drop downs, etc that accept dynamic user input in testing. Also the built-in widget libraries are nice. Set up is a bit clunky, and there are strict limits around how much of trial/free things you get without a full license. This is a worth while tool to check out, its lighter and in some ways very similar to Axure in its interface, but not as powerful. Good for importing comps and adding fields to simulate simple user flows. Also usable as wireframing tool. It's EXTREMELY streamlined and simple to use, with a Ps-like interface for dealing with layers. I love it! So far, through my use, nothing! When you first begin using it, the interface can be a little confusing, but you can choose at startup to take lessons on using it! It's easier than ever to make prettier interfaces! Planning my site layouts and making graphics is so much faster now that I've started using this. "Hard tool to use for none coders"
The best thing about Justinmind is its ease in designing and prototyping mobile and web applications. It comes preconfigured with widgets and icons to help you put the design element in places with ease. There is a learning curve but with its easy to use interface, it doesn't take much to learn the layout. Another thing i like about justinmind is the easy editing of existing widget texts and colours. I use the free version to design mobile layouts and the free version does not allow exporting the designs to other formats. As a free option for wireframing, I consider Justinmind one of the best tools for fast prototyping. As I told you before... It's fast, light and free! The lack of integration with some online solutions like we can find in Sketch. For every app that I need to develop, I create a wireframe first to present to my clients. Most of the times, Justinmind is my go-to app for this. "Great Prototyping tool that needs slight improvements"
Users have the ability to simulate their prototype within the tool with the apps "Simulate" button. There are also helpful widget tools and users are able to simulate interactions. Wireframes for HTML can be directly exported to HTML. Elements can be dragged and dropped into a frame. Justinmind Pro is expensive, and the free version can be limiting. There is a steep learning curve. 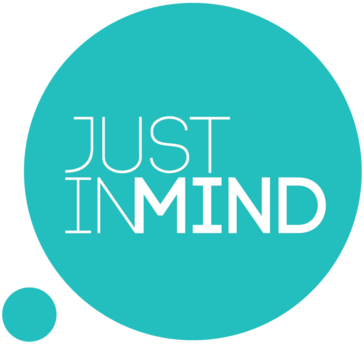 My team and I used Justinmind when wireframing & prototyping an Android application. Justinmind allowed us to create a prototype that was great for UX and interaction design testing. Ability to output prototype as HTML which can be shown on mobile devices. They have swipe which is good, but I would like to have the element follow my finger when I swipe. "I used Justinmind as a prototyping tool for websites that I have created." I liked the easy-to-use interface they have. It was very simple and straightforward, and I ended with a perfect prototype. At times it was difficult to get exactly what I was looking for in the prototype. Some things were missing or weren't available. This program helped me prevent some unforeseen issues with my sites. Planning before you execute is always better in the end. "Not that exciting or different to comp programs "
The ease of downloading and installing. Beyond that, nothing really stands out. It's pretty much exactly like all the other programs for these types of projects. Kind of bland and not very fun to use. Making ux ui sketchboards for projects. Many icons and widgets to incorporate into design including many different devices. The logo, need to purchase subscription in order to share design publicly. Making designing and prototyping easier. * We monitor all Justinmind reviews to prevent fraudulent reviews and keep review quality high. We do not post reviews by company employees or direct competitors. Validated reviews require the user to submit a screenshot of the product containing their user ID, in order to verify a user is an actual user of the product. Hi there! Are you looking to implement a solution like Justinmind?